Twitter and Facebook suffered service problems today, raising speculation that they had come under a pre-planned coordinated attack by hackers. Twitter, the popular micro-blogging service, was knocked down by a malicious attack that prevented people from accessing its website for several hours. Facebook members saw delays logging-in and posting to their online profiles. 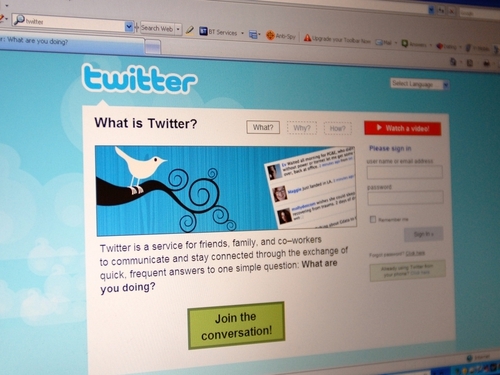 The social networking site is working with Twitter and Google to determine whether there was foul play. Twitter was down for more than two hours before engineers at the California firm were able to get it back online with a warning at the website that ‘we are continuing to defend against and recover from this attack’. ‘On this otherwise happy Thursday morning, Twitter is the target of a denial of service attack,’ Twitter executive Biz Stone said in an official company blog. ‘Attacks such as this are malicious efforts orchestrated to disrupt and make unavailable services such as online banks, credit card payment gateways, and in this case, Twitter for intended customers or users,’ he said.